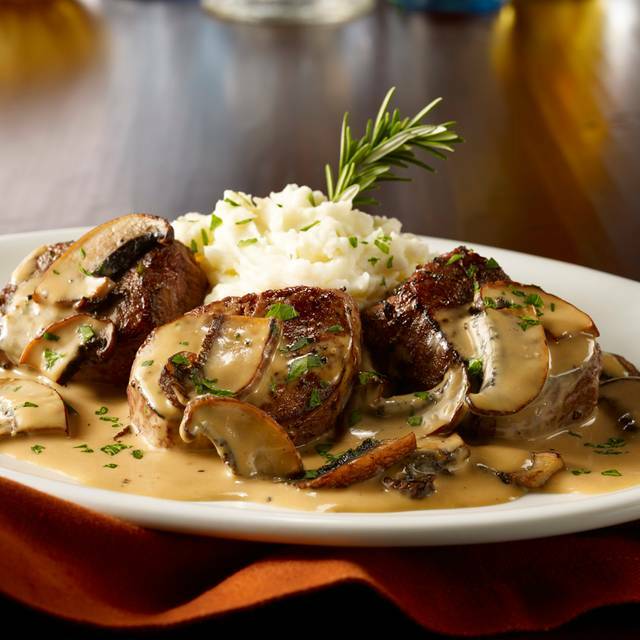 You must make reservations at least 5 minutes in advance of the time at Maggiano's - Denver Pavilions. The most convenient parking is the Denver Pavilions garage. The entrance is at 15th & Welton. No validation. Maggiano's delivers! Just place your order, and we'll take care of the rest. All delivery orders include: table coverings, plates & utensils, a complete setup to keep the food warm throughout your event, party-sized pans providing generous portions for all of your guests. Please call 303-260-7710 to schedule your delivery. Orders must be placed by 7 p.m. for next-day delivery. Minimum order required. Delivery fee applies. 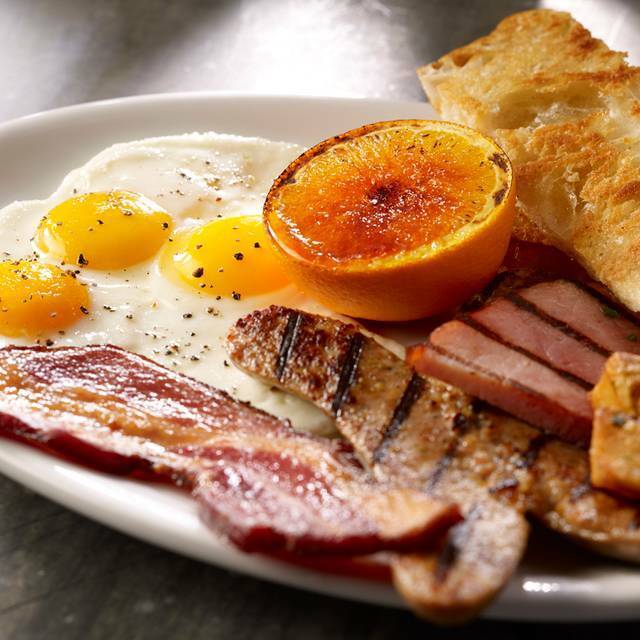 Maggiano’s is conveniently located in the Denver Pavilions on downtown’s 16th Street Mall. Our location offers easy free shuttle access to hotels, the Denver Convention Center, the Denver Performing Arts Complex & more. 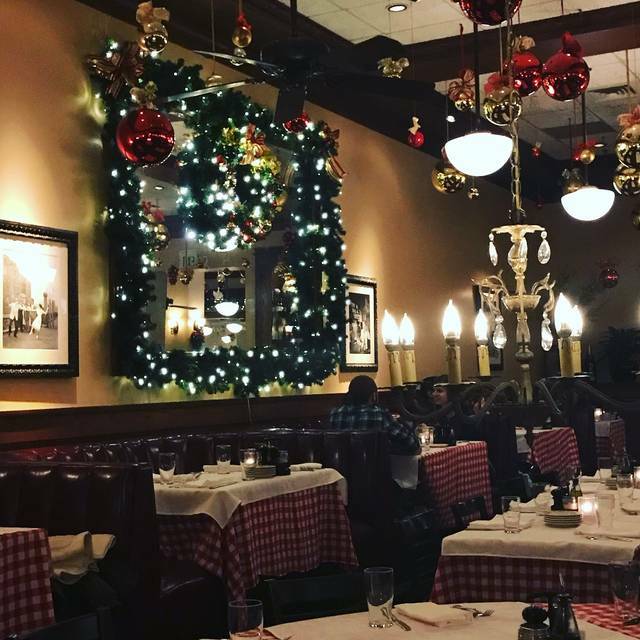 Maggiano's 275-seat dining room is an ideal location for your special occasion lunch or dinner, client meeting or gathering of friends. The seasonal patio seating has the feel of dining on the bustling streets in one of the Little Italy neighborhoods across the country. Regular visitors include Colorado Governors – present & past, Denver Mayor John Hickenlooper, music stars such as Jon Bon Jovi, members of the Denver Broncos, & other sports & community celebrities. The Easter Family brunch was wonderful! Great service as always! Another wonderful dining experience at Maggiano's. The service (Haley) and the food was prepared to perfection. We were celebrating our 31st Wedding Anniversary and it did not disappoint. They did not forget it was our anniversary which was nice. What made the atmosphere so nice was the fact it is Prom season. To watch table after table of beautiful young ladies in their lovely dresses and hair-dos and the young men in their choice of suits and tuxedos were just wonderful. There must have been 5 or 6 tables while we were there and more in queue waiting to be seated as we were leaving. It made for a nice evening and memories of our son and this special time in his life. 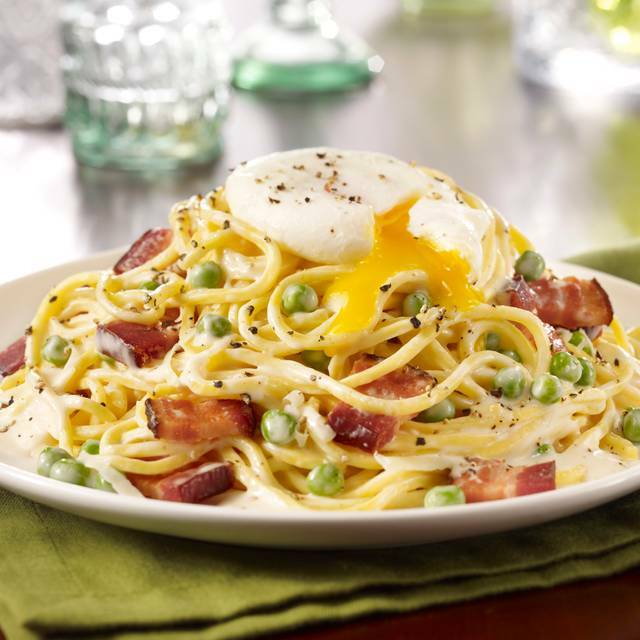 Maggiano's is a nice choice for a special occasion or just a meal out. 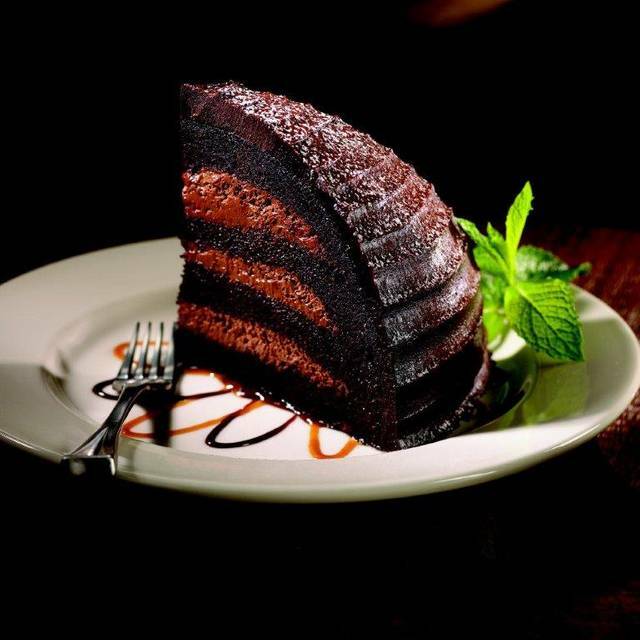 We highly recommend Maggiano's. We have been coming to this Maggiano's for twenty years. This was the first restaurant in which I dined in Denver. I was flown in from Arizona for an overnight stay and next day job interview. This is where I was given my job offer which I accepted and have never looked back. 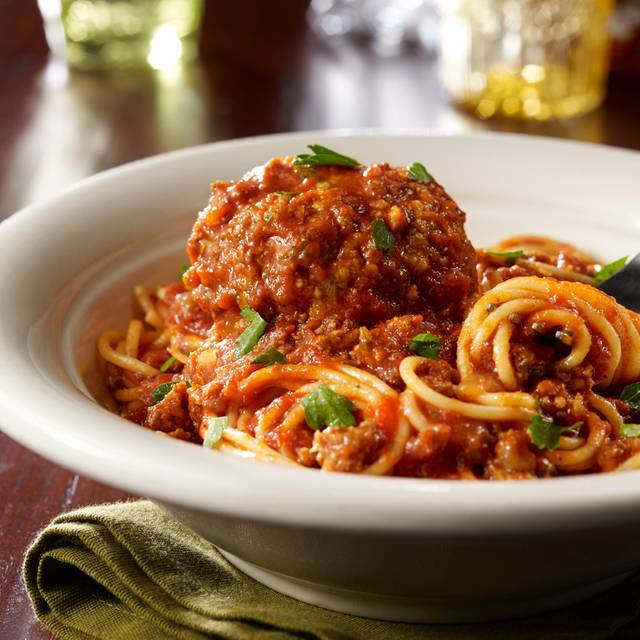 Make memories for yourself at Maggiano's. Family style dinner with family of all ages. Everyone enjoyed the evening and food. Absolutely fantastic service and food at this Maggiano's. Our family loved it. Thank you! We came on prom night. Oops! Server was not attentive and it was loud. Still enjoyed our meal. Bread was slightly under cooked. I definitely understand the issues due to the volume of guests! 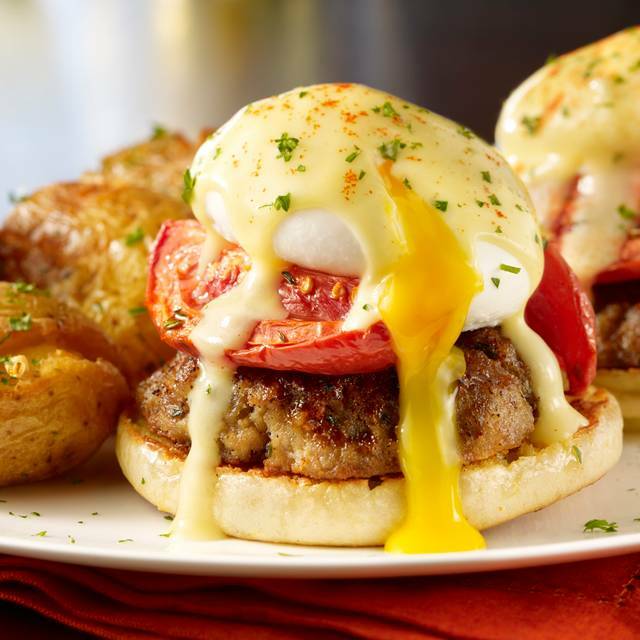 Excellent food, competent friendly staff, fair pricing. Love the buy one get one to take home program. Always a great experience. Our server was attentive, fun and a great addition to our dining experience. Having the "today and tomorrow" menu available is a fantastic value; being able to have a great meal two nights in a row. Maggiano's is one of my all time favorites. I highly recommend it. They were closed and no notification prior to us arriving. Allowed me to make a reservation only to show up to a sign on the door. Our server, Grace, was wonderful. Great pre show meal. The reservations were not lost this time. Had to grab pitcher of water for refills as nobody came around and glass was empty for awhile. Was not asked if we wanted more bread, or wine. Was waiting in bar area for friend to come out of bathroom. Suddenly I got bumped from behind, hard. Not sure if someone was drunk but the person ran outside. Grace was our wonderful patient server. Thanks for making the bride to be’s day extra special. Best Italian restaurant I have ever experienced. Will be back. The food and service here are always good. Our waiter Enrique was topnotch. We love Maggiano's and their Italian Margaritas are the best. Orlando has been our waiter the last 3 times and he does an outstanding job. One of our favorite places! Food and service both were great! Excellent seat location. Corner circular booth was ideal for the two six-year-old children in the party of six, i.e., positioning the children between adults avoided disrupting other patrons. Thanks you for this optimum seating arrangement. Food was excellent, service was perfunctory. We enjoyed everything, food, service, atmosphere. 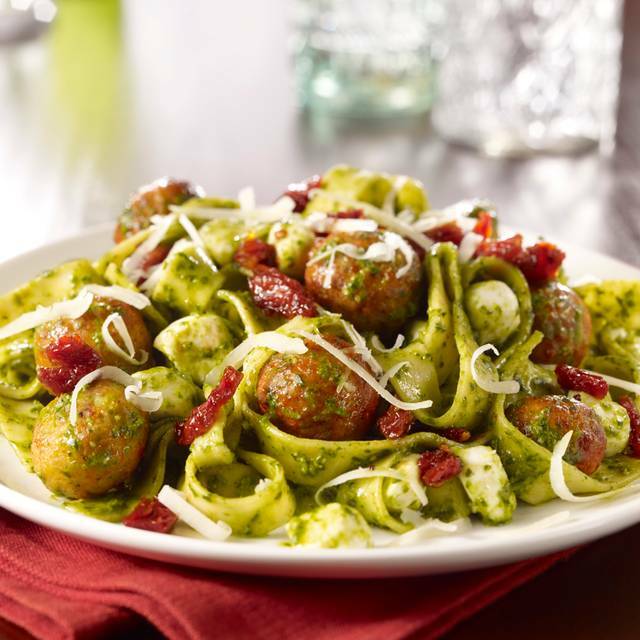 Maggiano’s is so far the best place to enjoy authentic Italian food. We will come back to soon. Thank you. Felt very crowded. Server was definitely stressed. We stated we hadn't been there before but wasn't given an overview of the menu until we kept asking questions. I was looking for more of a quiet experience to celebrate. For the price, I was expecting that. We were almost elbow to elbow with our neighboring table. The only real complaint that I have is that it took 15 minutes to be seated for our 6:00 reservation. This forced us to hurry more than we wanted to because we had a 7:30 show at the Paramount. Our Dinner at Maggiano's was great. The foot tasted awesome and our waitresses were wonderful. Typical Maggiano's experience - hearty food and lots of it. Place is getting a little worn. Even though there were several very large parties in the restaurant, we had very efficient service. The food was fantastic (per usual) and the experience was very authentic. We will be returning next time we are in town. Always a great time and delicious food! Looking forward to our next trip to Maggianos, that will be in Vegas. We make it a point of dining there every time we are there. 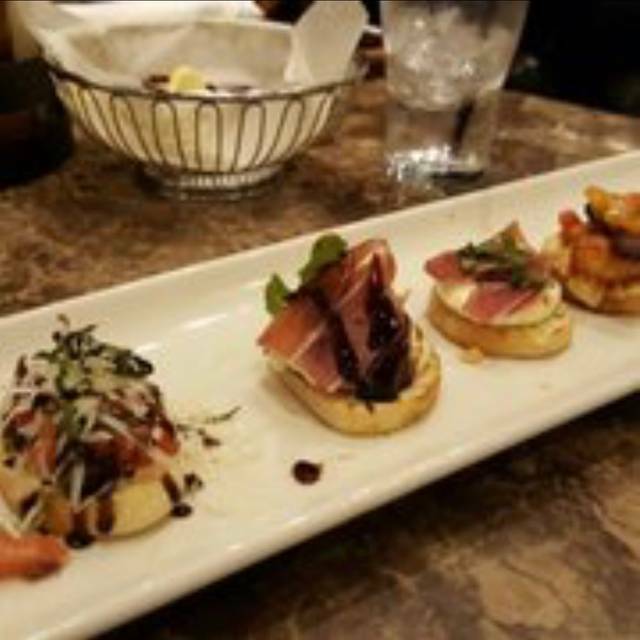 We visit Maggiano's periodically and always thoroughly enjoy the experience. Food and ambience is exceptional. Matt, our waiter, was excellent. Our server, Randy, was knowledgeable and took great care of our needs! The food was delicious! We would eat there again! Maggianos Downtown Denver is always consistently good from food to the atmosphere! Water glasses were dirty, again. The waiter brought clean glasses when I pointed it out. I have complained this before. The bussers also put their fingers inside the glasses when arranging the table. Yuck! The waiter knew it was my daughter's 21st birthday and did not offer the complimentary lemon cookies. The food is good, but you need better quality control on presentation. Food was delicious. Ordered a special deal they offered and got a second serving of each to take home with us. Our waiter was wonderful think his name was Randy. Had reservation-waited about 15 minutes to be seated. Entirely full and very noisy, but had a nice banquette and were greeted by a server in about 5 minutes. The food is outstanding and normal service was quick, but special requests were forgotten. Definitely would come again for the food. I can always count on the quality of food and service to be excellent! I wish there was a location in northern Colorado so that I can go more often. We were a group of 12 and Jaun Carlos was amazing My son Marco really enjoyed his birthday at Maggianos.